Click Analytics in the the Control bar to access the Analytics management page. The Customers Analytics page displays by default. 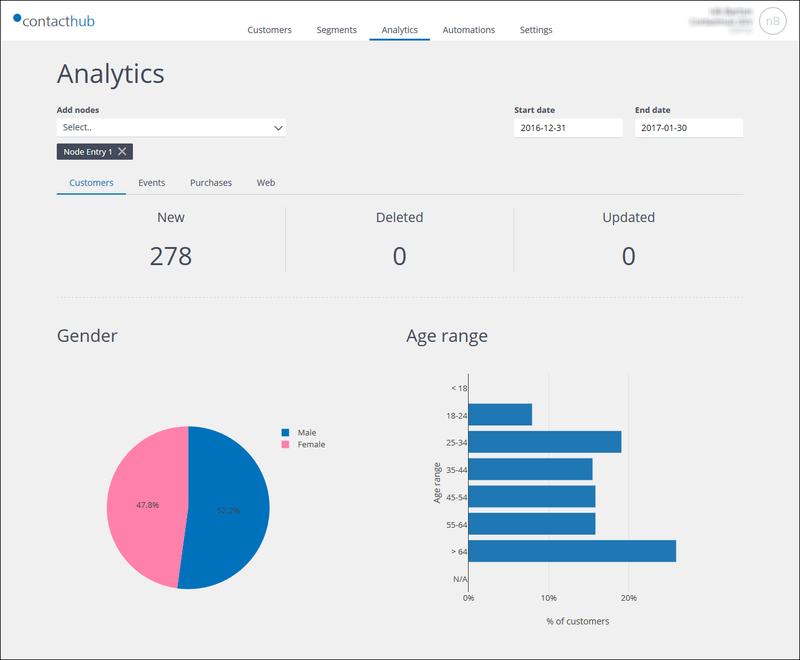 The Analytics management page provides access to a rich set of analytics that enable you to examine the overall customer base composition, the customer acquisition statistics, and a range of information about events, purchase activity, Web behavior and similar. Enables you to define the nodes that should be included for analysis. Start date and End date fields. Enable you to define the analysis period.